CIBC is making it easier than ever to take care of your banking needs before and after you fly. As Lead Partner of UP Express, we are bringing you free Wi-Fi, charging stations and the CIBC UPstairs Lounge as well as our multi-currency ATMs at the station. At Deloitte, we are committed to providing unparalleled, team‐based client service. As one of Canada's leading professional services firms, Deloitte provides audit, consulting, financial advisory, risk management and tax services to a wide range of Canadian and international clients. We are consistently recognized as a top employer, which is good news for our talent and clients alike. Cisco Canada is the proud Technology Partner of Union Pearson Express. 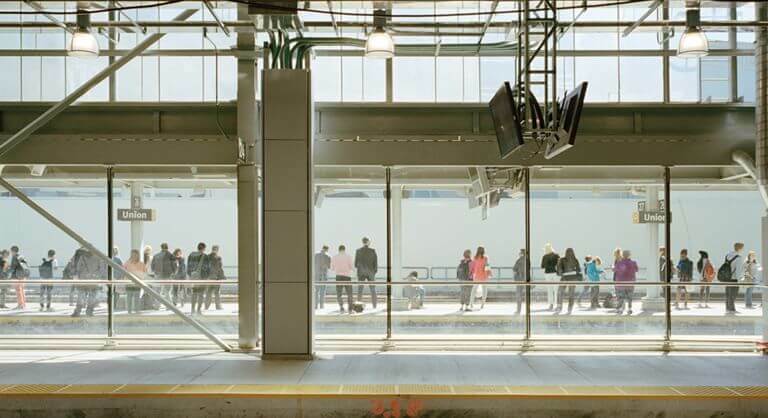 Cisco’s solution for Connected Trains and Stations enhances the passenger experience by allowing passengers to be connected anywhere, anytime. This is just one of the many ways that Cisco brings the Internet of Everything to life. At Rogers, we’ve been helping Canadians connect to what’s next since 1960. We’ve revolutionized a lot of Canada’s favourite products; like FM radio, cable TV, wireless phones and high-speed Internet. We’re also home to some of Canada’s most beloved media brands. We’re proud to provide you with the content, products and services you need to keep inspired, informed and connected. To understand the Balzac’s story is to understand our inspiration. Honoré de Balzac, one of history’s consummate coffee aficionados, was a prolific and celebrated 19th century French novelist. His prodigious output was famously fueled by copious cups of strong, black coffee consumed throughout the night.